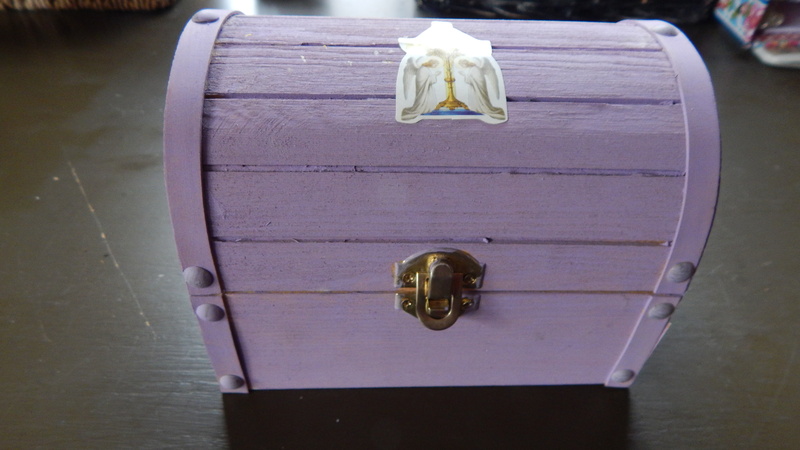 and “buried” it in our special box. The kids were very excited to revisit this tradition. 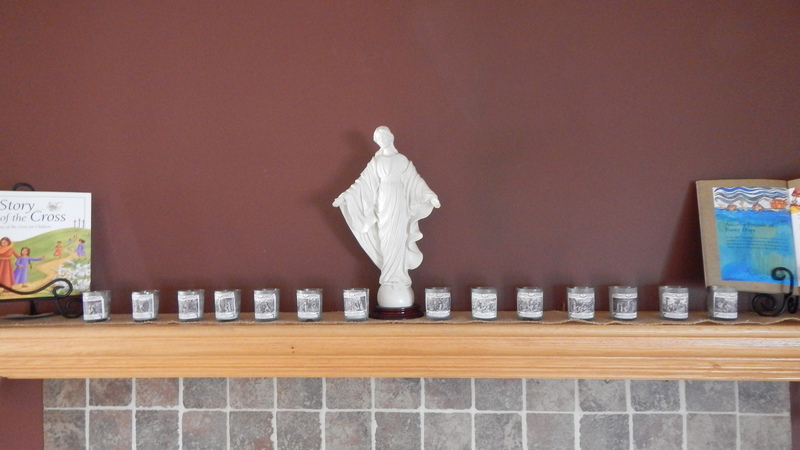 We set up our Lenten altar on the mantle. 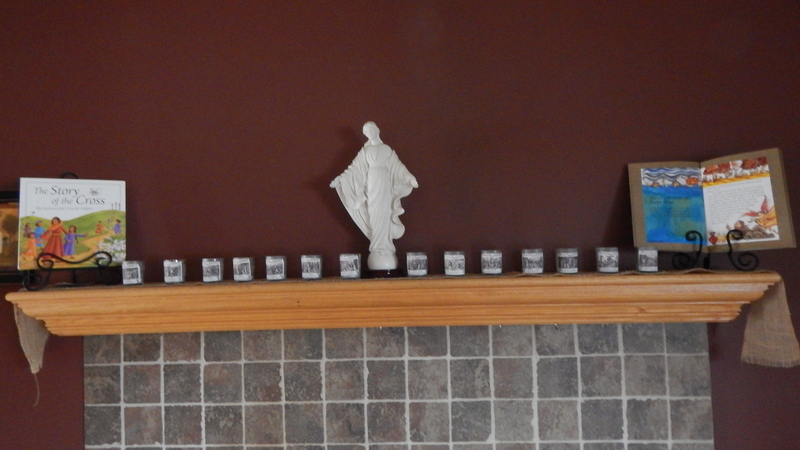 The votives are covered in black and white pictures of the Stations of the Cross that Ruth linked to here. Every year we make a salt dough crown that I stick wooden toothpicks in. The children break one off when they make a sacrifice or complete some private devotion. The jar of toothpicks becomes a jar of candy on Easter morning. 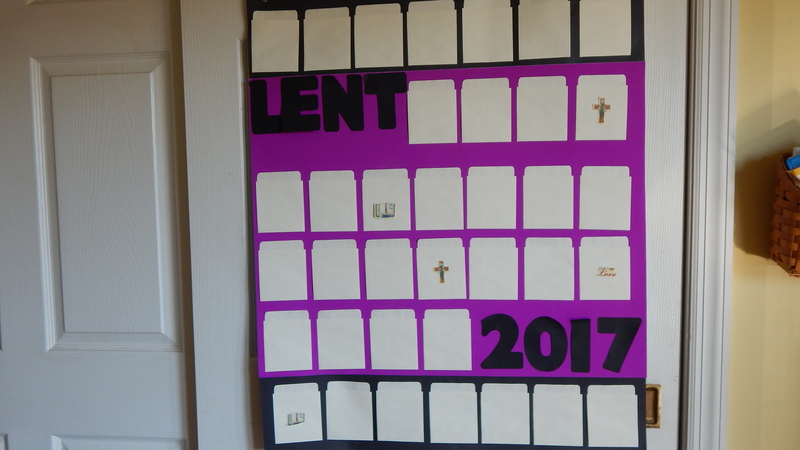 Our Lenten activity calendar, similar to the Advent one. Less festive looking but essentially the same. 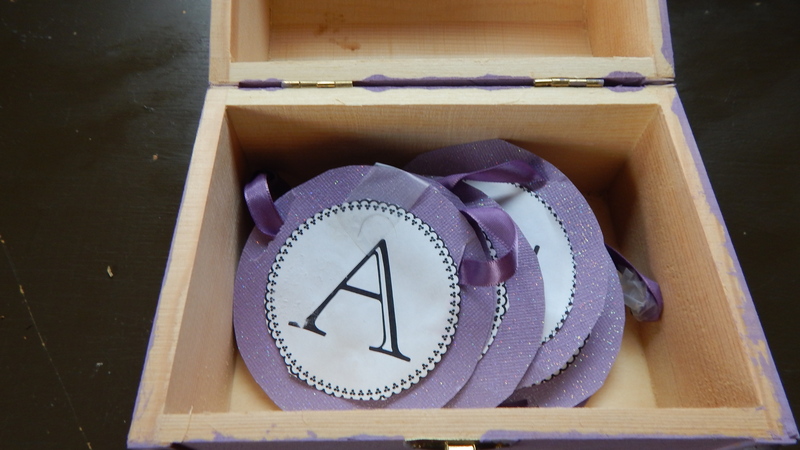 The activities center around penance, sacrifice, goodness, devotion, alms giving and giving in general, but don’t worry, there will be some fun in the nature walk, picture books and crafty variety. I’ve been trying to spend more time doing the kinds of activities with the younger ones that I did with the older ones. It’s a lot harder now than it was when I had a bunch of babies around, believe it or not, because now I am out of the house so often it’s actually harder. It is worth the effort though. 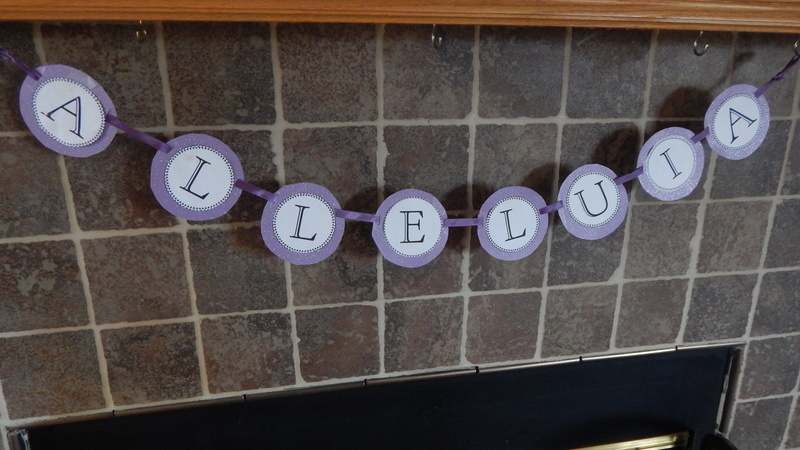 These littles are having a very different homeschool experience than the older ones did and I’m trying to be more intentional about making it as rich as I can. 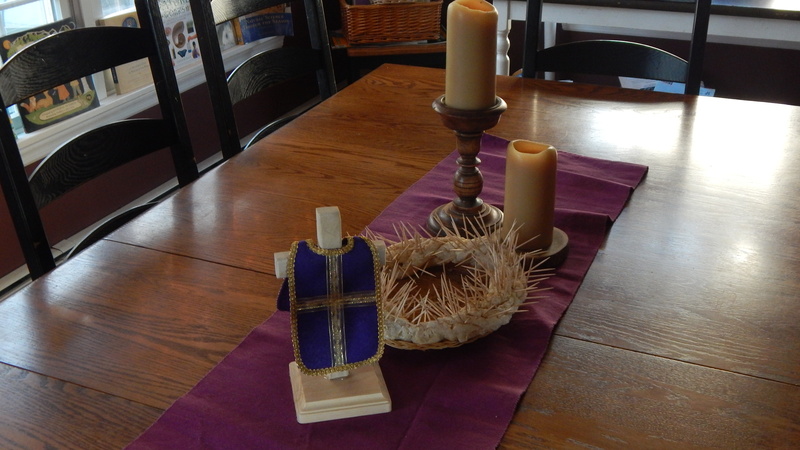 How are you observing Lent with your little ones?